Oh, It’s a Podcast presents…How To Get Away With A Podcast. The end of Season 1 has finally come, and Brian and Noah are here to gasp along at all the twists and turns. Oh, It’s a Podcast presents…How To Get Away With A Podcast. 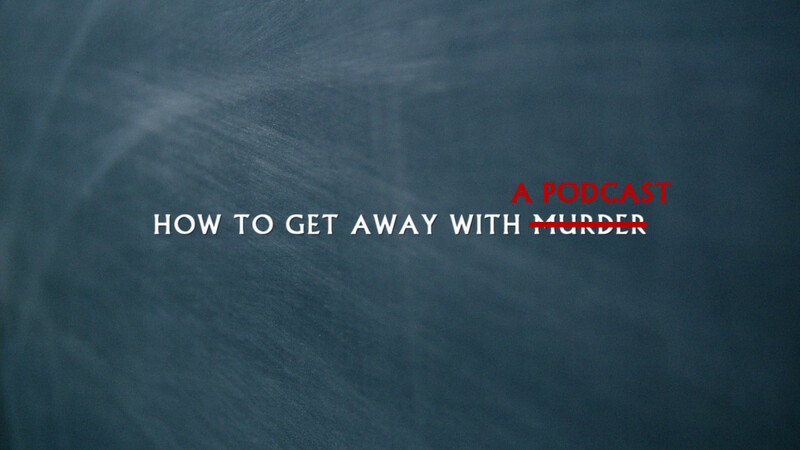 Bonnie is in charge, Annalise’s mom is with her to keep her life together, and Brian’s mom is here with us to discuss it all on the penultimate episode of How To Get Away With a Podcast, Season 1. Oh, It’s a Podcast presents…How To Get Away With A Podcast. Things start to heat up as the finale approaches, and Brian and Noah are there for it all. Oh, It’s a Podcast presents…How To Get Away With A Podcast – Retrospective Part 2. Brian and Noah are about to start watching the new episodes of How To Get Away With Murder. In anticipation, they go through the first half of Season 1 and give their opinions so far. Part 2. Brian and Noah are about to start watching the new episodes of How To Get Away With Murder. In anticipation, they go through the first half of Season 1 and give their opinions so far. Part 1.